Scott V. Edwards is Alexander Agassiz Professor of Zoology and Curator of Ornithology in the Museum of Comparative Zoology at Harvard University. He came to Harvard in December 2003 after serving as a faculty member for nine years in the Zoology Department and the Burke Museum at the University of Washington, Seattle. His research focuses on diverse aspects of the biology of birds and related species, including evolutionary history and biogeography, disease ecology, population genetics, and comparative genomics. He has conducted fieldwork in phylogeography (the study of the geographical distribution of DNA sequences) in Australia since 1987 and conducted some of the first phylogeographic analyses based on DNA sequencing. Dr. Edwards did a postdoctoral fellowship in immunogenetics (the study of the genetic basis of the immune system) at the University of Florida and gained experience with studying the major histocompatibility complex (MHC) of birds, an important gene complex for interactions of birds and infectious diseases, pathogens, and mate choice. An important system for studying these issues is the ongoing epizootic (spread of disease) involving House Finches (Haemorhous mexicanus) and the bacterial pathogen Mycoplasma gallisepticum. His work on the MHC led him to study the large-scale structure of the avian genome and informed his current interest in using comparative genomics to study the genetic basis of phenotypic innovation (the emergence of new physical or biochemical traits) in birds. In the last 10 years Dr. Edwards has helped develop novel methods for estimating phylogenetic trees (evolutionary diagrams) from multilocus DNA sequence data. His recent work uses comparative genomics in diverse contexts to study macroevolutionary patterns in birds, including the origin of feathers and the evolution of flightlessness. 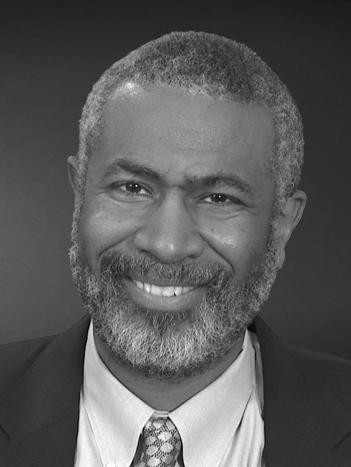 From 2013 to 2015 Dr. Edwards served as Division Director of the Division of Biological Infrastructure at the U.S. National Science Foundation, overseeing funding programs focused on undergraduate research, postdoctoral fellowships, natural history collections and field stations, and cyber- and other infrastructure for all areas of biology. He served as President of three international scientific societies based in the United States: the Society for the Study of Evolution, the Society of Systematic Biologists, and the American Genetic Association. He has served on the National Geographic’s Committee for Research and Exploration, the Senior Advisory Boards of the NSF-funded U.S. National Evolutionary Synthesis Center (NESCent) and the National Institute for Mathematical and Biological Synthesis (NIMBioS), and on the Advisory Boards of the National Museum of Natural History at the Smithsonian and the Cornell Lab of Ornithology. Dr. Edwards oversees a program funded by the National Science Foundation to increase the diversity of undergraduates in evolutionary biology and biodiversity science. He is a member of the American Academy of Arts and Sciences (2009), a Fellow of the American Association of the Advancement of Science (2009), and a member the National Academy of Sciences (2015).